Washington has interests, not allies. China and Russia are rivals, not partners. After Beijing cancelled last month’s high-level security talks with Trump regime officials, Pompeo and Mattis met with China’s Central Foreign Affairs Commission Office director Yang Jiechi and Defense Minister General Wei Fenghe in Washington. Despite both countries putting a brave face on the meeting, no breakthroughs were achieved on major issues. Pompeo lied saying the US “seeks a constructive, results-oriented relationship with China grounded in fairness, reciprocity, and respect” – code language for demanding Beijing observe US rules, abandoning its sovereign rights when they conflict with Washington’s. Director Yang made similar remarks, calling Friday’s dialogue “candid, constructive, and productive” – despite major unresolved political, economic and military differences between both countries. Trump and China’s Xi Jinping will meet on the sidelines of the November 30/December 1 Buenos Aires, Argentina G20 summit. US escalated tensions won’t be easily eased, despite positive diplomatic language on Friday. Trump regime-initiated trade war shows no signs of abating. Ten percent tariffs on around $200 billion worth of Chinese products will be increased to 25% on January 1 as things now stand – Beijing certain to retaliate strongly. Trump unacceptably accused China of meddling in America’s midterm elections, no evidence cited because none exists. In response to Beijing’s purchase of Russian S-400 air defense systems and Su-35 combat aircraft, the Trump regime unilaterally imposed illegal sanctions on the country. Along with surrounding China with US military bases, Pentagon warships provocatively sail near its sovereign territory, including through the Taiwan Straits – on the phony pretext of freedom of navigation rights, risking naval confrontation between both countries. Beijing considers Taiwan a breakaway province, eventually to be reunited with the mainland. 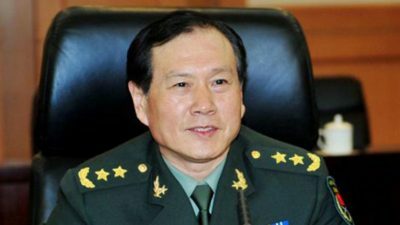 China’s leadership considers US arms sales to Taiwan’s military a hostile act. Washington under Republicans an undemocratic Dems is hostile to Beijing’s growing influence and economic development – notably its “Made in China 2025” strategy, seeking to advance key sectors of its economy to world-class status. It conflicts with Trump’s “America first” agenda, along with the longstanding US aim to dominate all other countries politically, economically and militarily. Russia already surpassed America as the world’s dominant military power, its super-weapons more advanced than Pentagon ones. China is heading toward becoming the world’s leading economy in the years ahead. Reality doesn’t go down well in Washington, slipping as other nations advance – notably China and Russia, the world’s leading sovereign independent nations. Beijing rejects US demands to demilitarize artificial islands it built in the South China Sea – done for defense, not offense, the way Washington operates. Regular dialogue is the only thing positive about Friday’s bilateral meeting and earlier ones – so far preventing military confrontation. For how long remains unknown. The agendas of both countries are world’s apart. Mutual trust is absent for good reason. Washington repeatedly says one thing and does another, why it can never be trusted. Pompeo and Mattis rejected China’s warning to stop provocative US naval warship incursions close to its territory, a major dispute between both countries. In late October, Xi Jinping ordered Chinese military commanders involved in monitoring Taiwan and the South China Sea to “prepare for war” – fearing possible US aggression. At the same time, Defense Minister Wei vowed that Beijing won’t cede “a single inch” of its sovereign territory. US hostility toward China and Russia risks possible military confrontation with one or both countries by accident of design. Their powerful thermonuclear arsenals and long-range delivery systems could end life on earth if used in combat – the risk humanity faces because of Washington’s belligerent agenda.